Protein tyrosine phosphorylation plays an important role in cell growth, development and oncogenesis. No classical protein tyrosine kinase has hitherto been cloned from plants. Does protein tyrosine kinase exist in plants? To address this, we have performed a genomic survey of protein tyrosine kinase motifs in plants using the delineated tyrosine phosphorylation motifs from the animal system. The Arabidopsis thaliana genome encodes 57 different protein kinases that have tyrosine kinase motifs. Animal non-receptor tyrosine kinases, SRC, ABL, LYN, FES, SEK, KIN and RAS have structural relationship with putative plant tyrosine kinases. In an extended analysis, animal receptor and non-receptor kinases, Raf and Ras kinases, mixed lineage kinases and plant serine/threonine/tyrosine (STY) protein kinases, form a well-supported group sharing a common origin within the superfamily of STY kinases. We report that plants lack bona fide tyrosine kinases, which raise an intriguing possibility that tyrosine phosphorylation is carried out by dual-specificity STY protein kinases in plants. The distribution pattern of STY protein kinase families on Arabidopsis chromosomes indicates that this gene family is partly a consequence of duplication and reshuffling of the Arabidopsis genome and of the generation of tandem repeats. Genome-wide analysis is supported by the functional expression and characterization of At2g24360 and phosphoproteomics of Arabidopsis. Evidence for tyrosine phosphorylated proteins is provided by alkaline hydrolysis, anti-phosphotyrosine immunoblotting, phosphoamino acid analysis and peptide mass fingerprinting. 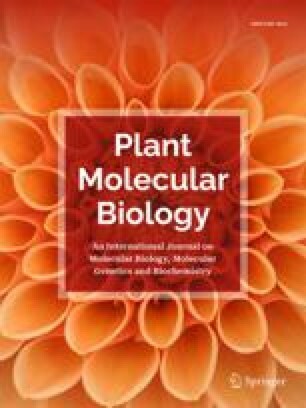 These results report the first comprehensive survey of genome-wide and tyrosine phosphoproteome analysis of plant STY protein kinases. Electronic supplementary material is available for this article at http://dx.doi.org/10.1007/s11103-005-4109-7 and accessible for authorised users.